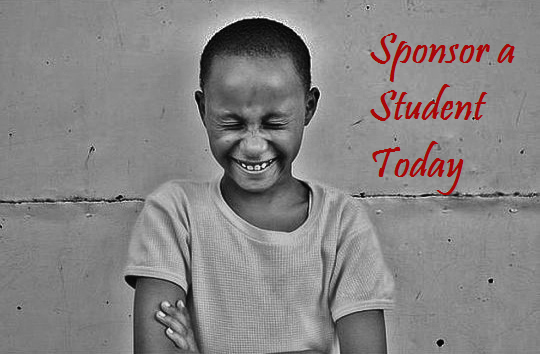 For $30 per month, you can help brighten the future of a child in Kibera. Your support will cover school fees, textbooks, uniforms and shoes, transport and other school supplies needed by your student. Students range between the ages of 7-18 years and all are enrolled in primary school for the 2015 school year. Once you sign up to be a sponsor, you will make your donations via our trusted partner, One World Children's Fund - a U.S.-based nonprofit organization that helps us get our funds safely and securely to Kibera. All donations are generally tax-deductible as a charitable contribution to the full extent of the law. Please fill out the information below to become a sponsor. Once we receive your application, we will be in touch with you to set up a payment schedule to support your scholar. In December 2014, you will be matched with your scholar and receive the student's name, picture and bio. Twice a year, you will receive an update from St. Vincent's on its scholarship program and your student. How many students would you like to support?